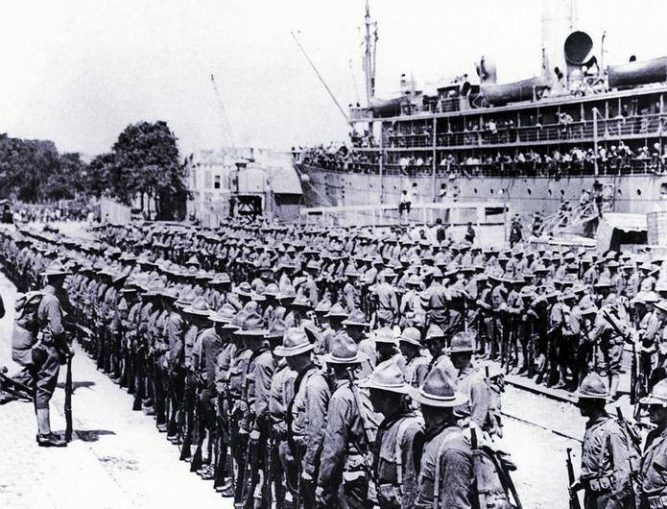 On June 26, 1917, the first 14,000 United States infantry troops landed at the port of Saint-Nazaire, in France. The visit of U.S. president 45 with the French president on Bastille Day brought together two imperialist leaders who rob both by force and by putting something over on the people. That they celebrated with pageantry the World War I landing of U.S. troops as France’s ally shows how they still combine both tactics. Whole nations, peoples and territories have been robbed by these thieves. They continue to rob with six-guns carried by armies, battalions of corporate and private lawyers, and even presidents over centuries. It became popular for them to plunder the world in the name of peace, justice, patriotism and liberty as a smokescreen for their hypocrisy, greed and relentless drive for imperialist profits. Millions have been fed its intoxicating bait. Untold millions have perished as a result. Countless millions today agonize and suffer this human-made fate, which need not go on, and respond with greater organized resistance. In August 1914, the European rulers went to war with each other over land that did not belong to them — on the continent and overseas. It was called World War l, or the Great War. Though the rulers declared the war, all people and even babies were dramatically impacted. One hundred years later, and it’s still being remembered and commemorated. Everyday people, for the most part on both sides, paid the highest price in this war. But who benefited the most? The ruling class and its war profiteers made out like the bandits they are! Militarism: The enthusiastic build-up of armies and weapons/technology; war glorification. Alliances: Europe’s system of alliances turned it into an armed camp; an attack on one country was an attack on all its allies. No wonder Europe in this period is often described as a powder keg. Imperialism: The merger of financial and industrial capital to exploit the world’s labor, usually accompanied by land and resource theft by strong countries over weaker ones at grand larceny levels. Nationalism: Chauvinism in the oppressor states, claiming their own people are above all others (“We’re #1!”); unthinking loyalty. Prior to the outbreak of the war, Lenin and the Bolsheviks saw it as the colossal con game it was, and strongly urged European workers’ parties, which were then usually called Social Democrats, to reject support for the war that was enthusiastically promoted by the imperialists. There was no good side in the upcoming war. 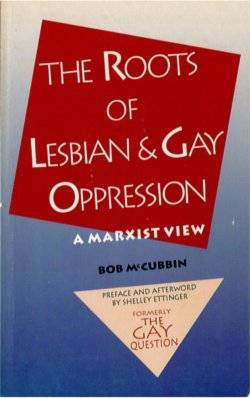 Both sides were alliances of countries that exploited their own workers and oppressed toiling people abroad. The Social Democratic parties, at their pre-war Stuttgart and Basel congresses, adopted paper resolutions to resist both sides of the two alliances. But after war was declared in 1914, nearly all of them followed “their own” bourgeois leaders and joined the chorus of war hawks from their respective countries. Sam Marcy’s 1985 book, “The Bolsheviks and War” (tinyurl.com/y9pvhakf), which reviews the pre-World War I socialist congresses, remains a must-read for political activists interested in strengthening their ideological anti-imperialist fortitude. He shows that workers get no benefits from misguided pro-imperialist patriotism. Although President Woodrow Wilson promised to keep the U.S. out of the European meat grinder, the material interests of U.S. monopolies and banks drove Washington into siding with the Triple Entente of Britain, France and Russia. Finally, on April 6, 1917, the U.S. officially declared war on Germany. In June 1917, U.S. troops landed in France, and the following month General “Black-Jack” Pershing set up the European Command of U.S. forces. The relatively untrained U.S. troops first saw combat in France against German troops in October. U.S. troop strength rose from 200,000 to 4 million by war’s end. Some 117,000 troops died, and double that number were wounded. They suffered so that the U.S. rulers could get their seat at the imperialists’ table. This writer paraphrases an observation by Malcolm X that astutely summarizes this topic: The Man doesn’t care if you’re for right or wrong, as long as you’re for Him. After that he doesn’t care what you’re for! Many U.S. veterans of the Vietnam War can so testify to this day. World War I came to an end in November 1918. Yet the seeds for World War II were already planted because the underlying inter-imperialist conflicts were unresolved. The issues of capitalist expansion and control remained a question to be resolved by war. The U.S.-French alliance goes back at least to the U.S. War of Independence, when France, due to its rivalry with Britain, supported the settlers in the U.S. colonies. To this day U.S. and French imperialism — economic competitors in some respects — work hand-in-glove with each other to maintain their economic dominance over oppressed peoples in Africa, the Middle East, Asia and Caribbean. As described in a July 14 WW article by Stephen Millies, the people of France and Haiti inspired each other to overthrow the oppression of French colonial rule. The age of rule by royalty had come to an end. However, the French merchant and capitalist class, along with remnants of the old nobility, were able to hijack Bastille Day’s symbolism, then and now. Emmanuel Macron is a servant-technocrat of France’s imperialist ruling class. For its class interests, the empire must be maintained. Compared to U.S. imperialism, France is a lesser oppressor. But together, they play destructive, anti-popular roles in the oil-rich Middle East and in Africa. Look at the dismembering role they played in Libya and Syria, and they remain staunch members of imperialist NATO. France and the U.S. celebrate their revolutions of over 200 years ago, yet deny independence and revolution to others. Notably, after the Vietnamese revolutionaries defeated French imperialism at Dien Bien Phu in 1954, the U.S. took over the occupation of southern Vietnam and devastated the country until it was defeated two decades later. The Trump-Macron get-together simply reaffirmed the two powers’ longstanding imperialist commitments around the world. Empire does not retire of its own accord.